We provide excellence in dance education in a positive environment. Classes includes western, salsa, hip hop, folk and classical. 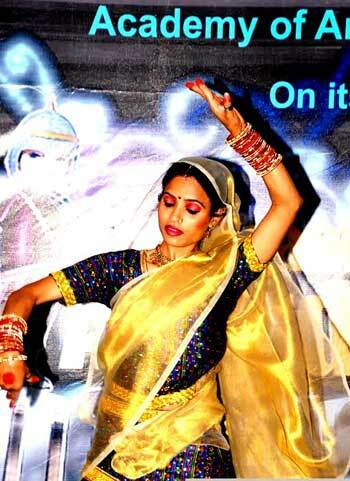 Academy is run by Prakriti Kunwar - A Kathak dancer, disciple of Pt. shivji Mishra from “Jaipur Gharana”. Dance studio located at sec 38-A, Chandigarh is established with an aim to help those who had a desire to express their happiness through dancing. With over 15 years of dancing and teaching experience, Prakriti brings positive energy and commitment to all her work. She possesses an in depth understanding for the art of teaching as well as the fundamentals and technique to promote poise, passion and a love for dance. Our programs are run out stepping Stones School at Sec 38-A, Chandigarh. The school is pleased to have a professional level dance studio running alongside their programs. They have extended a warm welcome to Chandigarh dance Academy and we are equally delighted to bring our love of performing arts to the community. The knowledgeable faculty at Chandigarh dance Academy brings with them years of dedicated training and expertise. All instructors are well rounded dancers who have performed and competed both locally and national level. With a strong focus on self esteem, confidence and personal achievement, Chandigarh dance Academy provides excellence in dance education in a nurturing and positive environment. We offer classes for classical dances, semi-classical, ballet, jazz, folk dance, hip hop, salsa and more. Whether you are five or forty-five, aspiring for a career in dance or looking for a new way to have fun, we have the class for you!